Thursday - ticket package SOLD OUT. Last few seats available for return coach travel only - £40pp. Saturday - only one ticket package remaining. 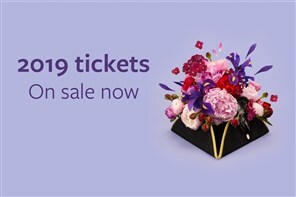 The worlds most prestigious flower show that inspires millions through showcasing the best in garden design. The garden design equivalent to Paris Fashion Week, the show attracts more than 150,000 visitors each year, including members of the Royal Family. The RHS Chelsea Flower Show is the first event of the summer season and showcases the finest examples of horticultural excellence, created by the best garden designers, plantsmen and plantswomen. It sets the latest gardening trends, is plant breeders favourite place to launch new plants and features the newest and most desirable gardening products. See the grounds of the Royal Hospital Chelsea transformed with stunning horticultural displays for the prestigious RHS Chelsea Flower Show. World-renowned garden designers, plant specialists, florists and nurseries come together every year to one of London's most charming and affluent neighbourhoods to show off cutting-edge garden designs and inspirational floral exhibits. Stroll through show-stopping and award-winning gardens. Discover rare flowers and plants and creative floral artworks. Spot emerging gardening trends. And browse the horticultural products on sale, from gardening gadgets to sculptures and plants. More Show Garden announcements to follow. The show closes at 18.00 Thurs & Friday with 18.30 departure. The show closes at 17.30 on Saturday with 18.00 departure.